Products of LTD NPP «Technology». 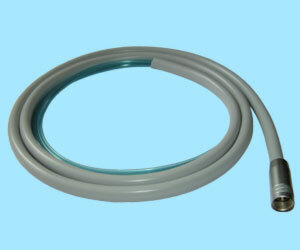 Flexible hose for "air" gun "M4", "B2", "P"
Turbine handpieces with the friction chuck are used in therapeutic and orthopedic dentistry. 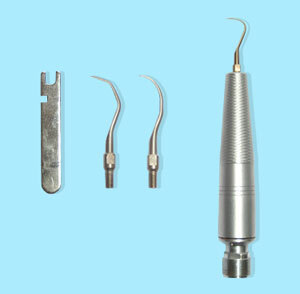 They are used with all types of hard-alloy and diamond burs. The diameter of the shank of the instrument mounted therein is 1.6 mm. Autoclavable (135°С). In construction two types of bearings with different separators are used. It is equipped with the built-in water-and-air system of cooling and can be used with Borden connection. 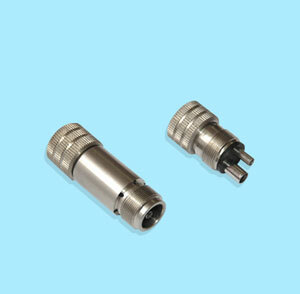 Turbine handpiece NTS-300-TECH has a reduced level of noise and is supplied with changeable turbine. Turbine handpiece NTS-300-TECH has a reduced level of noise and is supplied with changeable turbine. 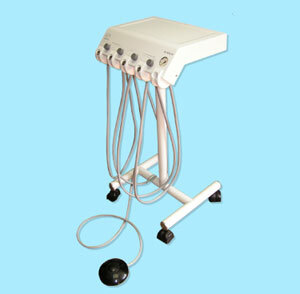 Pneumatic dental unit BPS-300/40M-TECH is one of the best produced in Russia. It can be used in any dental clinics provided with compressors having a line of compressed air under pressure of 0.4-0.6 mpa and air consumption of >4.2 M3 (60 liters/min). 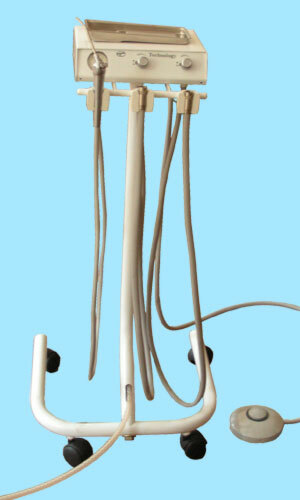 Pneumatic dental unit BM-300-40 TECH is used in therapeutic and orthopedic dentistry. It is possible to fix it on the table in dental laboratories. It is designed for the supply of the water, air and water-and-air mixture. 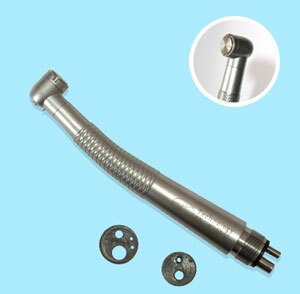 The feeding pipe is easy to remove and is autoclavable (135°С). 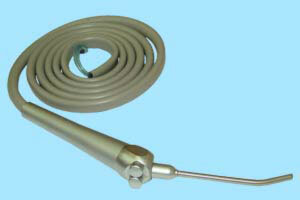 Spray Dental Gun PS-1TECH can operate with any dental equipment. 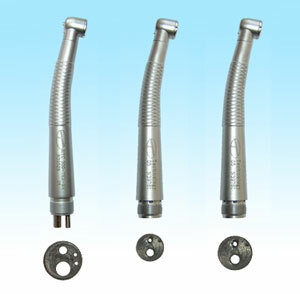 Flexible hose for ‘air’ gun "M4", "B2", "P"
Crown remover KS-TECH is used to remove crowns and metal prosthesis being previously cut down. It is light and easy in operation. Four working parts are available. The working surfaces are covered with protective coating. Scaler NPYZK-TECH is designed to remove the calcareous deposits. 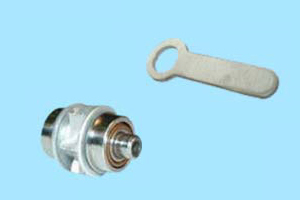 Different working parts are available. The design was developed by Russian and foreign specialists. The product is made of high quality materials and is of long term of operation. 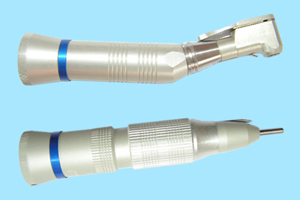 The design of button type turbine handpiece NTSK-300-TECH is based on the recommendations of the dentists. Its construction is made of high quality materials and the precision-made bearings. The instrument is light and convenient in operation. The outer housing has a modern coating. Autoclavable (135°С). Replacement cartrige( Standard head air turbine handpiece). The adapters for handpieces PVS-m4, PVCH-01T, PVS-01T make it possible to connect handpieces to dental units of different standards. Adapter PVS-m4 performs 360° rotation reliably supplying water and air to handpiece. 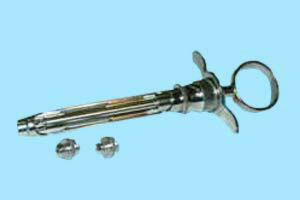 Reusable injector is used for infiltration and Kulenkampff’s anesthesia. For use in dentistry. 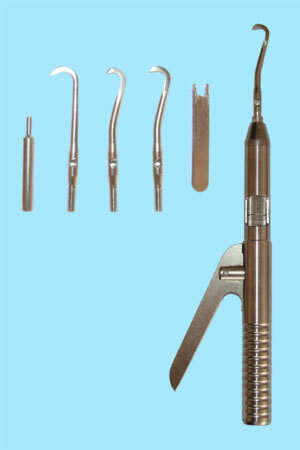 The injector is completely demountable and equipped with two types of threads for needles (European and American standards). The needles are made of brass with nickel-chromium coating. Borden 2 and midwest 4 adapters are available. The gauge is placed between the hose and the handpiece. The air pressure parameters are displayed on the scale. 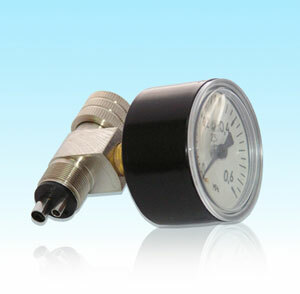 Using the gauge you can operate in complete coincidence with the manufacturer’s requirements. Straight and angular handpieces have a built-in two-line feeding system of cooling water and air. Autoclavable 135°С.